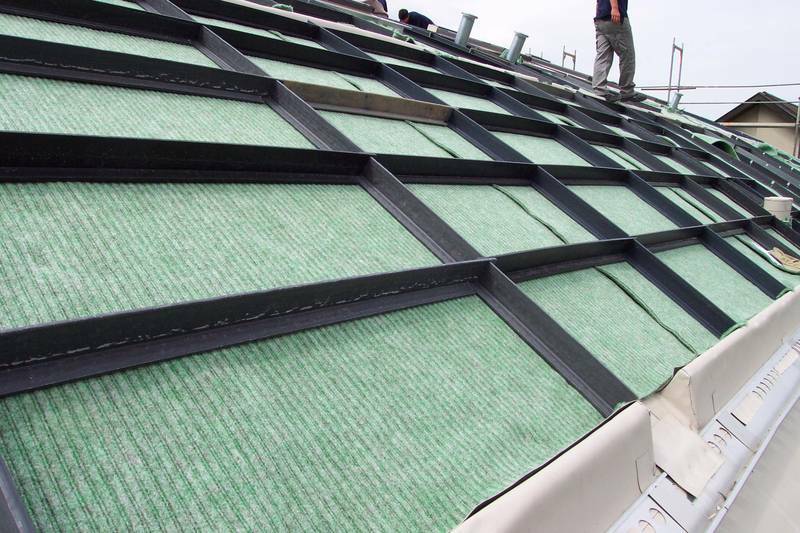 Optigrün Anti-Slip System N is used on roofs with 15-45° roof pitch, if needed in combination with Optigrün Fastening Profile. 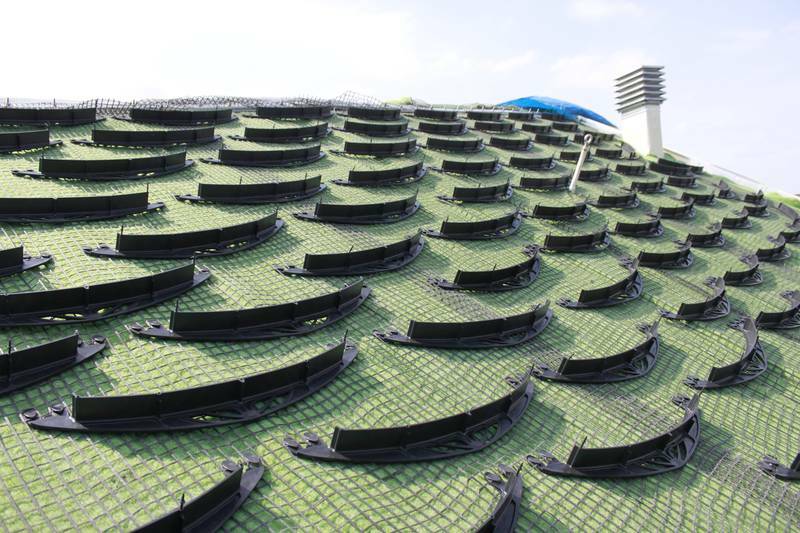 Optigrün Anti-Slip System for green roofs with roof pitches of up to 45°; with thrust thresholds and stainless steel cables. 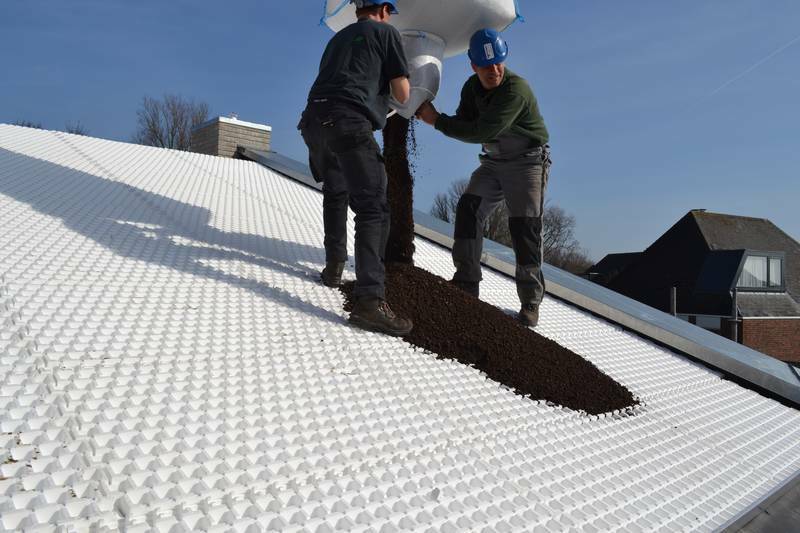 Optigrün Anti-Slip System T for green roofs with roof pitches ranging from 15 to 45°; load distribution against the eaves. 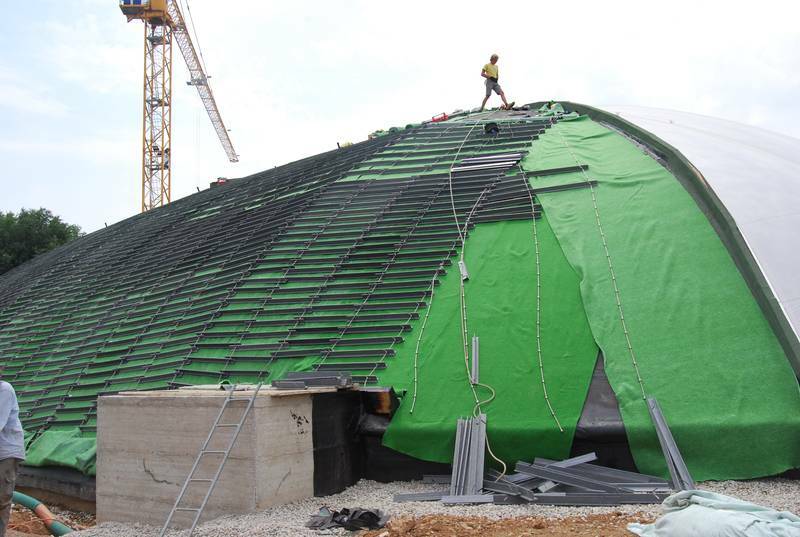 Optigrün Drainage Board FKD 58SD is used for pitched roofs with a pitch in between 15° and 35°. Made from expanded polystyrene.